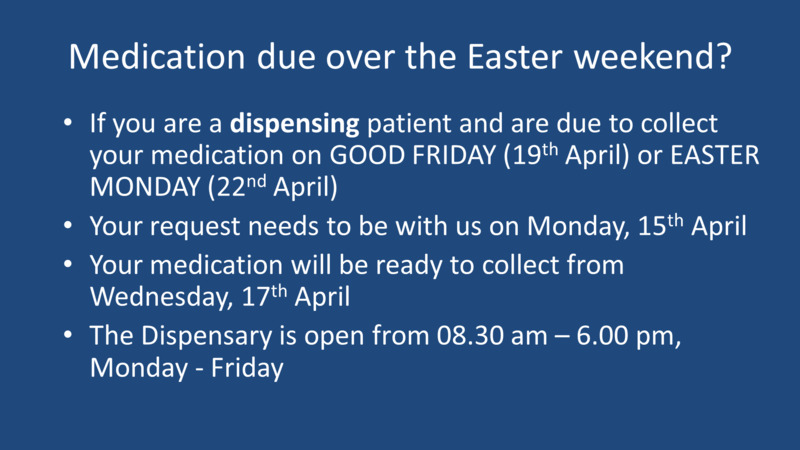 We will be closed for the Easter period from 6.00 pm on Thursday 18th April and will reopen on Tuesday 23rd April at 08.30 am. If you require medical assistance during this period, please telephone: 111. In a life-threatening situation, please telephone: 999. Are you a patient who self-medicates at home? Welcome to Burwell Surgery's Patient Participation Groups FIRST newsletter, jointly produced with Burwell Surgery. The PPG and members of Burwell Surgery meet every quarter… So… what did we talk about at February’s meeting? Please Click here to read our newsletter. Did you know... you can now access NHS 111 online? Answer questions about your main symptom and get NHS medical help near you. If you would like to find out more please go to www.openlater.co.uk.